Gone Without Warning, an American Gospel/Rock band from Austin, Texas, have released their full length album 'Lay Your Life On Me'. The ten-track album features first single 'Jesus Alone' (see video below). 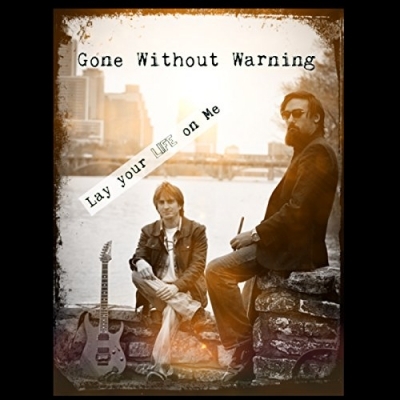 Read More Gone Without Warning, an American Gospel/Rock band from Austin, Texas, have released their full length album 'Lay Your Life On Me'. The ten-track album features first single 'Jesus Alone' (see video below). The band consists of Joha Turner (Vocals, Guitar) and Nick Manka (Drums). Joha David Turner is a rock singer/guitarist/songwriter/producer who has been playing and writing music since his early youth. Not only does his powerful and unique voice and singing range set him apart as a singer, but his playing and songwriting abilities truly make him a force to be reckoned with. From high-powered wailing and belting, to toned-down nuanced ballad-like performances, Joha has shown his musical versatility. As a young teen, Joha took some piano lessons from his mother, Frances, who was the music teacher at his school. He also played some saxaphone, encouraged by his mother, and took some singing lessons from her too. Joha started playing guitar in his early teens, when his father handed him one of his old guitars and suggested he learn how to play. Initially, he just wanted to learn some basic chords to be able able to give other musicians an idea of how he wanted his songs to play, but quickly grew to love the instrument, and picked up playing full time. Having been heavily influenced by hard rock from the 80's, 90's, and early 2000's, rock is in Joha's DNA. It's the way he's wired. However, there are some funk and blues elements that have made their way into his playing style over the years, which can be heard in his work on this album.